In 2004, D. J. Skelton was a young second lieutenant, fresh out of West Point, leading a rifle platoon in Fallujah, Iraq, when his unit was heavily attacked. He suffered grievous wounds that eventually took an eye and significant mobility in a hand and leg. The pain was so intense, he later told ABC News, "I wanted to die right then.” But he didn’t. And despite countless, grueling surgeries, he pushed on, co-founded a charity that took wounded warriors like himself on outdoor adventure trips, returned to combat in Afghanistan, earned several prestigious graduate degrees and certificates, and rose to the rank of Major before retiring in September 2018. 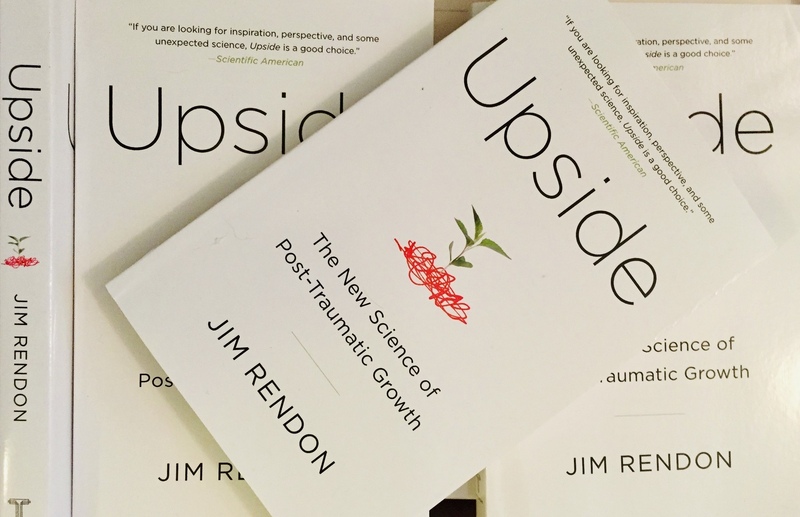 Skelton’s is one of several dozen case studies brilliantly described in Jim Rendon’s Upside: the New Science of Post-Traumatic Growth. These include victims of horrific accidents or gang violence, patients battling cancer, military casualties—and the loved ones (parents, siblings, friends) who suffer with them on that same journey. A journey that may lead to recovery or, in the worst cases, death and the grief that follows. Rendon examines moments of “seismic,” life-changing trauma, the medical and psychological interventions that followed, and the patients’ responses. 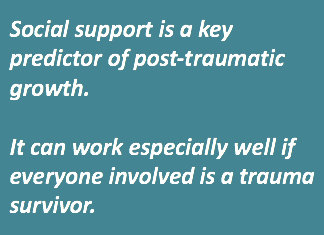 And he carefully connects these to research studies, especially the work on post-traumatic growth by psychologists Richard Tedeschi (a research colleague of One Summit) and Lawrence Calhoun. 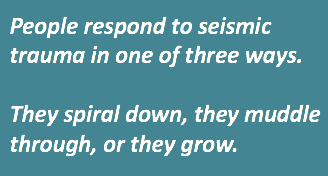 In general, people respond to seismic trauma in one of three ways. They spiral down, they muddle through, or they grow. Upside considers the third cohort. As D. J. Skelton put it, “I can either dwell on what happened and be miserable and pissy and complain," he said. "Or I can look at what I do have left ... and figure out how to make the most of my new life .... how to make what I have work while always looking for creative ways to make up the difference." Honest Communication – In Rendon’s words, “talking, writing, and expressing oneself is central to enabling the kind of deliberative rumination and narrative reframing that is required for growth.” Journaling, art, pottery are all ways of ruminating and telling stories. One Summit employs all of Upside’s tools in one way or another. Applications, mentor dinners, and follow-up communications are open, honest, and full of deliberate rumination. Every Climb for Courage involves “bonding with those who get it,” in an atmosphere of problem solving. And as Salma’s letter in our September Profiles in Resilience blog conveyed, the experience can be truly transformative, for the patient and the family.